I had never interviewed a comedian before, and made the unfortunate decision to re-watch some of Hannibal Buress’s stand-up performances right before my interview with him last Friday. It was the 13th, by the way. I probably should have known better. During one of his specials, Buress pulled out a piece of paper and started reading a story some college student had written about him. He said that while she certainly wrote the truth of what he’d said, she clearly wasn’t in on the joke. This made me nervous. Like rethinking-my-entire-line-of-questioning kind of nervous. Which was compounded by the fact that this was an interview I had really been looking forward to because I am a huge fan of “Broad City.” Buress costars in the Comedy Central show and his character, Lincoln Rice, happens to be my favorite. All of these elements collided into one giant train-wreck of an interview. There were often long pauses in between my questions and his answers, giving me even more time to make a fool of myself by adding unnecessary words and laughing for no apparent reason. Whether this was merely a phone delay or he was just contemplating the silliness of my questions, I will never know. “So, what’s the weather like there,” was the second question I asked the comedian and actor, who was in Los Angeles at the time of our interview. Yes, Los Angeles, California. And I just asked about the weather. He proceeded to list the predicted temperatures for the next week, all of which were in the low to mid 70s. Things only went downhill from there. At one point I asked him who the funniest person was on the set of Broad City, and he said the camera guy, Steve Calitri. I asked him why. Putting aside my embarrassing awkwardness, Buress himself was very accommodating. He answered the most inane of my questions with patience and grace. He said he grew up in Chicago, and when I asked him if he had a “funny family,” he answered as best one can answer such a ridiculous question. Buress said he started doing stand-up while in college at Southern Illinois University. From there, he started putting together shows of his own on campus and trying to get gigs opening for other comedians who came to the school. And he started doing his own research. Like most good comedians, Buress said he gets his material from everyday life. He said he tells stories about things he sees or hears that really stick with him, things that he can’t stop talking about with his friends. Buress is excellent at doing this. And I suppose the story he told about the poor college student who took him at his word was just one of those things that really stuck with him. Meanwhile, I will desperately be hoping that my Friday the 13th interview isn’t going to become another one of those stories. 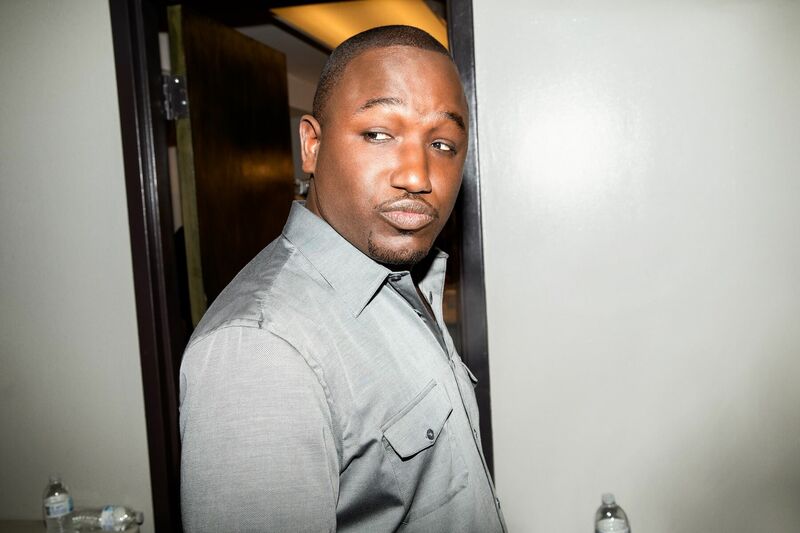 Hannibal Buress will perform at The Slowdown Thursday, May 19, Friday, May 20 and Saturday, May 21. He is also starring in three upcoming movies, Neighbors 2, Angry Birds, and The Nice Guys, all opening this Friday.